Who tops the list when it comes to the Vancouver defenceman’s all-time favourite player? Sbisa’s picks include three defenceman, two Swedes, a Finn, and a tie for fourth spot. 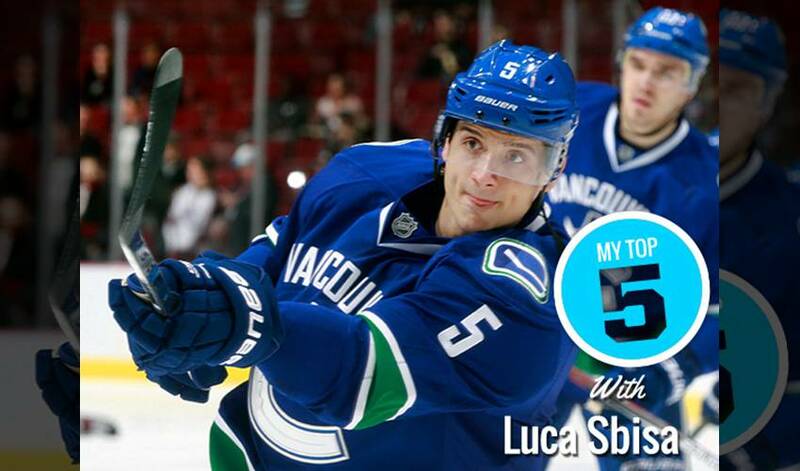 Less than two weeks before he turns 27, Sbisa, born Italy, but raised in Switzerland, offered up a handful of his favourite childhood hockey idols, including one of the game’s hardest-hitting blueliners off all time. Hockey Hall of Fame inductee, four-time Stanley Cup winner, seven-time James Norris Memorial Trophy recipient, and one-time Conn Smythe Trophy winner. Hockey Hall of Fame inductee, four-time Stanley Cup winner, James Norris Trophy honouree, and Conn Smythe recipient. Two-time Lady Byng Trophy winner, Olympic gold medalist, World Junior Championship and World Championship gold medal winner. Stanley Cup champion, Calder Memorial Trophy recipient, Maurice “Rocket” Richard winner, and Bill Masterton Memorial Trophy honouree. Hockey Hall of Fame inductee, three-time Stanley Cup champion, and Conn Smythe Trophy honouree. Each time he walked through a hospital entrance, Luca Sbisa wondered what he would say or could say to the families and survivors.